Whilst we now live in a time where there are countless Doctor Who guides available to buy in our local bookshops, few have dared tackle the format in such a brave, unique and refreshing way like Brian J. Robb and Paul Simpson have. Who Beyond 50 presents us with a chronological guide to the series, laid out over 5 sections and split up into 50 individual essays. Right from the very first essay (Visual Vortex Meets Musical Mysteries) you are catapulted back in time to the airing of that very first episode, with Hartnell's title sequence being described in the most evocative and affectionate way. Arguably many of the topics themselves have been covered before, but there's something about Who Beyond 50 that makes you feel like youre reading them for the first time through new eyes. Where many guides simply touch on aspects, themes and areas of interest, Who Beyond 50 delves further, leaving the reader feeling like they have a fuller and more rounded picture. As well as covering all the Doctors and their tenure on the show, Companions, Monsters, Producers and poignant moments in the shows long history are also given the spotlight. Those of you interested in the Missing Episodes saga, for example, can be assured of a well-researched and well-presented guide - taking us right up to the recent discovery of The Web Of Fear & The Enemy Of The World in 2013. Doctor Who fandom itself also gets a look-in, and Chapter 31: When Fandom Attacks, is particularly worth a read - even including super-fan; Ian Levine's inclusion in the John Nathan-Turner era of the show in the 1980's. Oh, and that period that we have all come to know as 'The Wilderness Years' is also covered in particularly broad detail, chronicling the TV Movie, as well as the online adventures of The Doctor, and the Books and Audios that helped keep the show alive in the 1990's. Whilst a large portion of the book is dedicated to the classic series, the new series is referenced throughout wherever there are relevant comparisons and interesting points of note. Section 5 is completely dedicated to 'New Who' charting Russell T. Davies rise and the events that lead to his appointment as show runner, right through to the revival, and detailing all the modern-era Doctors to date. Kudos to the structuring of the book, too; it's incredibly easy to follow, and it means you don't have to read from start to finish, allowing the reader to cherry pick sections or eras of the show and its history. We heartily recommend Who Beyond 50 - not just because of the tremendous amount of love, respect and sheer detail that has gone into the book, but because it truly deserves a place in any fans collection - a title you will be reaching for more often than you think! 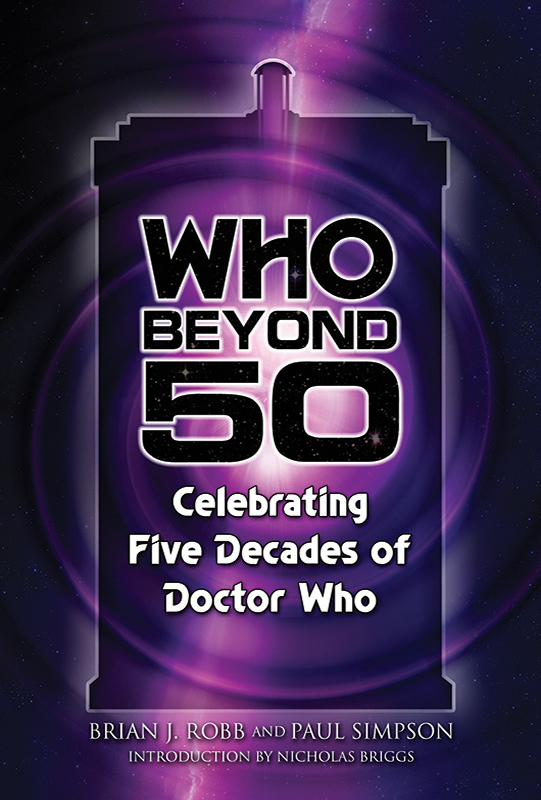 + Who Beyond 50 is Out Now, priced £13.03 / $19.99. + Follow Hasslein Books on Twitter. The 50 Year Diary - Day 852 - Final OverviewWill Brooks’ 50 Year Diary - watching Doctor Who one episode a day from the very start... Day 852: F...The 50 Year Diary - Day 630 - The Five DoctorsWill Brooks’ 50 Year Diary - watching Doctor Who one episode a day from the very start... Day 630: T...Review: The Five Doctors 25th Anniversary Edition - DVDThe Five Doctors 25th Anniversary Edition, DVD Review by Doctor Who Online.